1 night stay inside West Canyon, 1 night stay at Las Vegas hotel stay at center of strip. In the morning leave for Grand Canyon West Rim with our luxury motor coach. 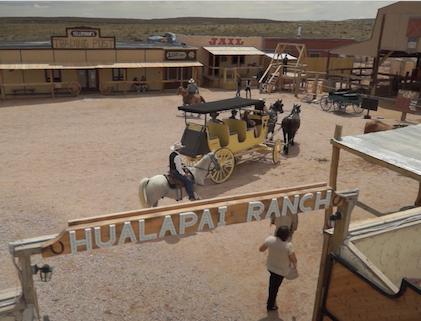 Check-in to the Hualapai Ranch located about 1000 ft. away from the Canyon. Tour to Eagle Point to view the Grand Canyon. 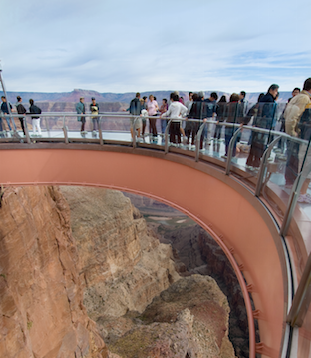 You can also experience to optional tour: Skywalk which is suspended 4,000 ft. above the Colorado River (This 30 millions glass bridge was opened to public on Mar-28-2007. Can withstand the equal weight of 71 Boeing 747 fully loaded with passengers). 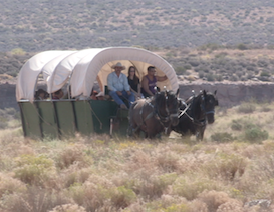 Visit the amazing Guano point in the evening and view the Canyon with 360 degree after arriving at the Ranch. 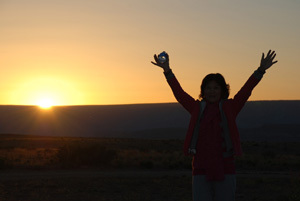 You can explore the sun has set and no longer illuminates the buttes and pinnacles in the Canyon – the sky light up red, orange and golden colors. Furthermore, you can enjoy BBQ Ribs dinner with live country music. 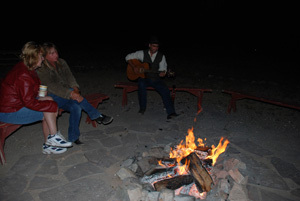 If weather condition is good, follow by camp fire party! Enjoy the different constellation in the sky or moon. ※ Passengers arriving at Las Vegas, meet at Bally’s Hotel tour lobby by 2:00pm. 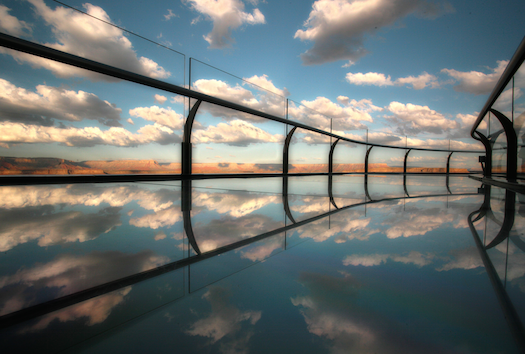 Wake up enjoy the beautiful sunrise right from your room. 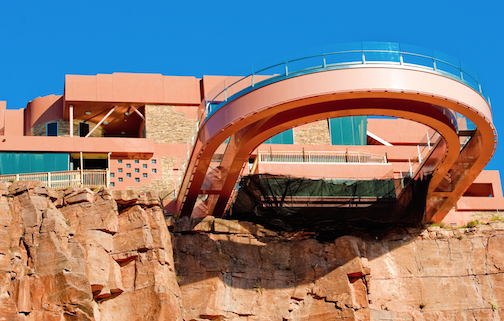 After breakfast, take the helicopter tour to the bottom of the Canyon and explore its great depths! 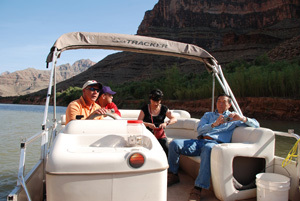 While at the bottom of the Canyon, take a cruise along the Colorado River before leaving for Las Vegas. Stay at a hotel at the center of the south Las Vegas strip. You may join optional 4-hour night tour. Hotel : Harrah’s Hotel or similar. In the morning, tour to Chocolate Factory and Desert Cactus Garden. Following departure for Los Angeles, tour stops at the Lenwood factory outlet where you can purchase famous brands at the lowest prices. Arrive in Los Angeles in the early evening. 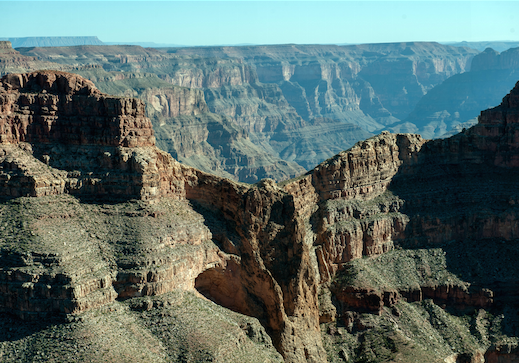 ※ West Grand Canyon admission, dinner, breakfast $108. 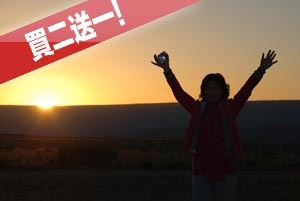 ※ Reconfirm with sale when you make reservation, Itinerary may be reversed due to weather or hotel.